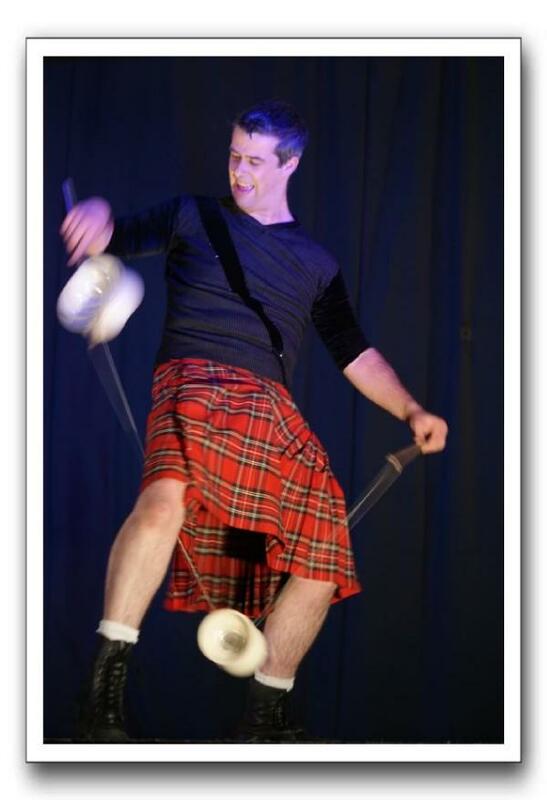 Donald Grant – One of the pioneers of contemporary diabolo performance, Donald Grant has been thrilling audiences all over the world for the last fifteen years. From the Arctic Circle to Kenya, from Las Vegas to New Zealand, his dazzling speed and silky skills have both enthralled and amazed.. Trained at the world-famous Ecole Nationale de Cirque in Montreal, his number has evolved over the years into a high tempo blend of manic manipulation with a healthy dash of Caledonian charm and wit. From intimate cabaret stages to massive circus arenas, catwalks to grand hotels, his performance will add class and energy to any show or event.